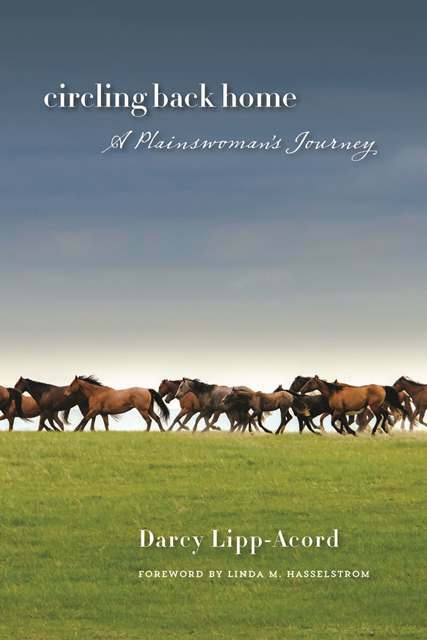 “Circling Back Home: A Plainswoman’s Journey” is a finalist in the 2014 WILLA Literary Awards and a nominee in the 2014 Will Rogers Medallion Awards. Written by first-time author Darcy Lipp-Acord, the book has been well received since its publication by the South Dakota State Historical Society in 2013. In “Circling Back Home,” Lipp-Acord looks to her past to create a life of significance for her family at a time when values of home, family and care of the land seem increasingly absent. She mourns the loss of one child and celebrates the births of others while balancing her own desire to put down roots with her husband’s life as an itinerant ranch hand. The WILLA Literary Award is named in honor of Willa Cather, a Pulitzer Prize-winning author. It is awarded annually for outstanding literature featuring women’s stories set in the West and is chosen by a panel of professional librarians. “Circling Back Home” was named a finalist in the Creative Non-fiction category. “Laura Ingalls Wilder: A Writer’s Life,” also published by the State Historical Society, won in 2008. In October the winners and ranking for the Will Rogers Medallion Award will be announced at a ceremony in Fort Worth, Texas. “Circling Back Home” was nominated in the Western Biographies and Memoirs category and is the first South Dakota Historical Society Press book to be nominated for a Will Rogers Medallion Award. Originally created to recognize quality works of cowboy poetry that honored the Will Rogers heritage, the award has expanded to include all works of Western literature. “Circling Back Home” is available for $16.95 plus shipping and tax and can be purchased from most bookstores or ordered directly from the South Dakota Historical Society Press. Visit www.sdshspress.com, call (605) 773-6009 or email orders@sdshspress.com.